Business Insider reported a few days ago that Google has internally communicated to employees in its laptop and tablet division to find new jobs within the company. Since the Pixelbook, supposed Pixelbook 2, and Pixel Slate are the only current laptop and tablet devices Google makes, this move (if it is actually happening) could easily send shivers through any blogger who covers Chromebooks on a daily basis. But I’m not worried, and I’ll explain why. First on the slate of reasons why I’m not overly concerned is the fact that all of this is “according to a source familiar with the matter.” Now, I’m not saying anyone is blatantly lying, but I am saying that there are plenty of times where miscommunications and poorly worded internal documents get misconstrued to mean something they never did. Or, plans change. This is Google, after all. There are simply too many occurrences of this to take an unnamed source completely at their word. Consider the entire Andromeda rumor mill that happened prior to the Pixelbook rolling out. With that scare, we thought Chrome OS might be going away all together. Whatever truth there was in that entire debacle was overshadowed by media hype and rumor and what may have been a simple miscommunication on behalf of someone “familiar with the matter” turned into a whirlwind of half-truths and, in the end, a product shift that simply never happened. Another reason I’m not worried is Google’s track record of fast, hard shifts regardless of what they or anyone else says. They shutter services without notice and spin up new ones just as fast. If Google said today that they are done making #madebyGoogle Chromebooks, it wouldn’t be odd for them to turn around and launch a new Chrome OS device in 6-12 months. Rick Osterloh (Google SVP Hardware) even said 2 years ago that the Pixel branding was finished with Chrome OS devices, only to pivot on that statement a month later and then launch the Pixelbook 7 months from then. Manufacturing roles on Create were not impacted by the recent downsizing, signaling Google’s near term product lineup will likely not change. But according to one person familiar with the matter, the Create group had a “bunch of stuff in the works” and that the cutting the number of hardware engineers and program managers on the team will likely “pare down the portfolio” of products. With manufacturing roles not being impacted, this doesn’t sound like Google is planning on completely getting out of the laptop/tablet space. It also doesn’t mean that devices already in production queues are getting abandoned. What it does sound like, however, is that they had some other, broader products in the pipeline that will either be put on the back burner or never actually come to life. While that is sad, it isn’t exactly the gloom and doom that many are spinning this as. With the Pixelbook finally starting to be embraced by many and the Pixel Slate lost in the abyss of bad reviews and slow sales, Google likely needed to make a move to keep focused on making a few great products instead of a more mediocre products to add to the pile. Finally, I’m not worried about all of this because the #madebyGoogle Chrome OS devices that exist now and will come in the future are doing their jobs: they are elevating the overall quality of the market as a whole. 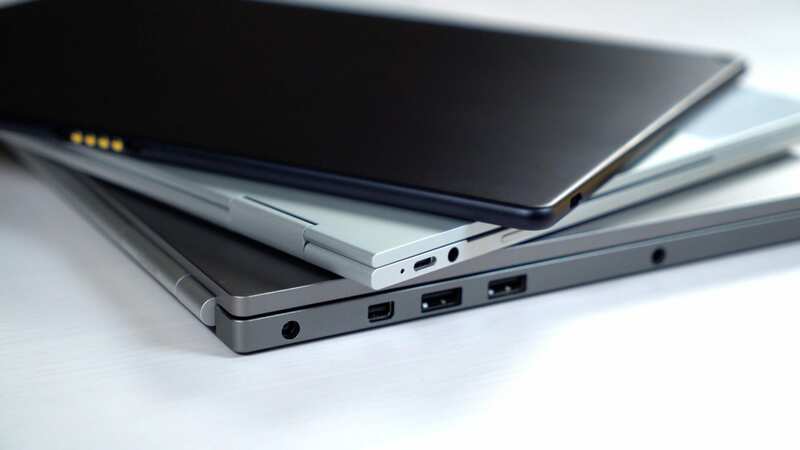 Because of the Pixelbook, we have fantastic options like the HP Chromebook x360 and Chromebook x2, Dell Inspiron Chromebook 14, Acer Chromebook Spin 13, and the Lenovo Yoga Chromebook C630. Oh yeah, we also have the much-anticiapated ASUS C434 about to launch as well. There is no shortage on great Chromebook options, and the Pixelbook is a huge reason for that. Google, in my mind, needs to do little more than make a new, high-quality Chrome OS device once every year or 18 months to keep this going. If they choose to get into a space where they actually want to really drive sales and make good money from Chromebooks, they are going to have to figure out how to make good devices that don’t cost as much, and I’m not sure they even want to mess with all that. At the end of the day, the #madebyGoogle brand is about quality and driving the market forward. If Google started making a fleet of Chromebooks, for instance, they would impede on their hardware parteners’ territory and that is a tough spot to be in. While I’d love to see that fleet, I also know it simply isn’t in the cards. Maybe all this means we’ll miss out on a few cool, conceptual devices. Maybe it means we’ll get fewer #madebyGoogle Chromebooks. Maybe it means Google will partner more with hardware makers. Or maybe in 6 months they’ll reshuffle and all of this will be as if it never happened. It is Google after all. So, don’t worry too much.